This free math themed I spy printable for kids is a perfect way to work on learning the times tables! So it turns out all those I Spy printables that I made last week were just too simple for my son with hypernumeracy. I had to step it up a bit. Keeping his love for math in mind, I ended up creating this free printable math themed I Spy Game pack that focus on times tables. While he certainly already knows his times tables (and has for maybe a couple years already), the added challenge of tallying them up while visually scanning for them should make it extra challenging for him. 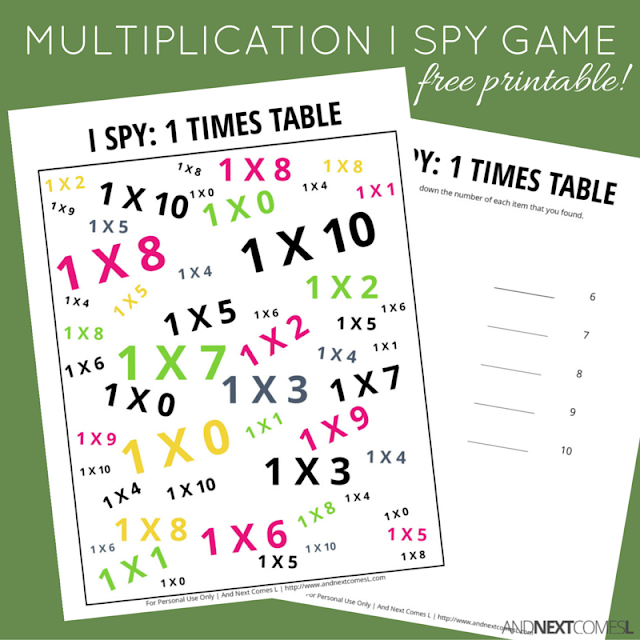 I Spy printables like this math one are great for providing visual sensory input to kids, making them a great choice for visual sensory seekers. They also help develop a child's visual tracking ability and improve visual discrimination. This printable requires kids to visually scan through the objects and find ones that are the same. These types of I Spy games also encourage math learning by asking kids to count how many of each object they find. However, since this one focuses on times tables, it will help the kids learn the times tables in a new and exciting way. Or maybe it's only exciting to my hypernumerate son. 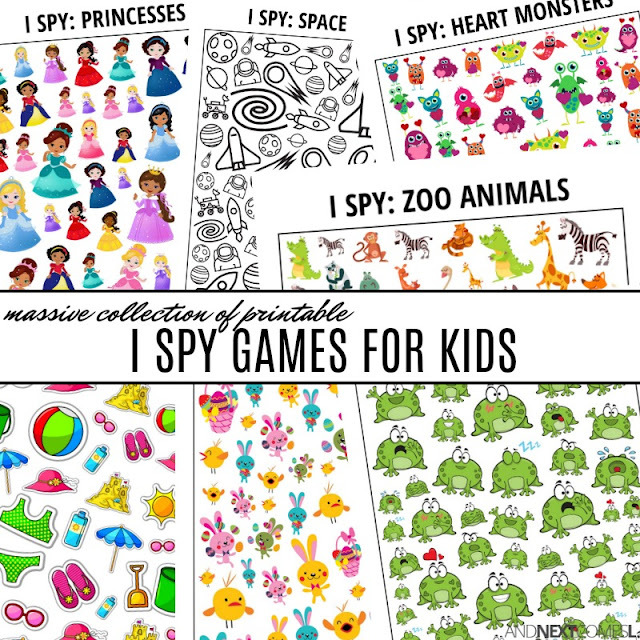 This printable includes 20 pages of I Spy game sheets and answer sheets to record the number of objects found. The answer sheet has the product of the multiplication equations from the game sheets. So kids must multiply each equation first before they can count up how many there are for each product.